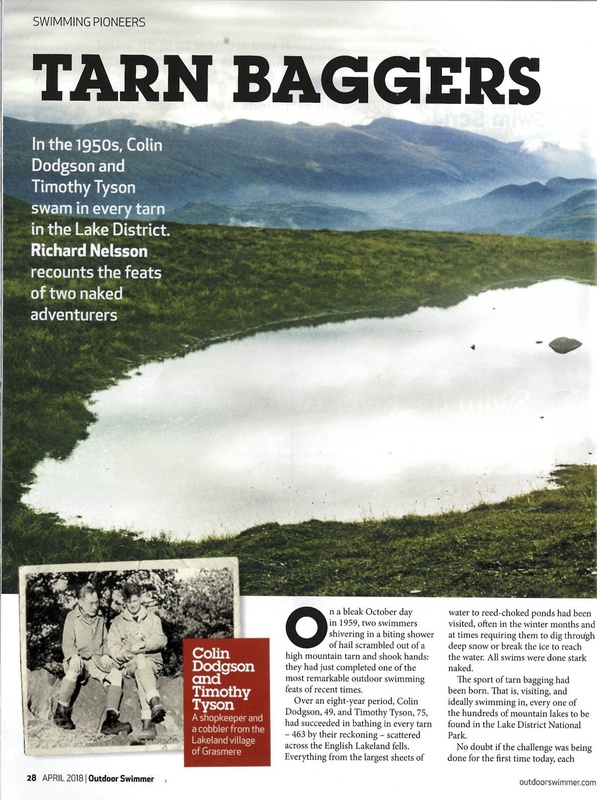 In the 1950s, Colin Dodgson and Timothy Tyson swam in every tarn (463 according to them) in the Lake District. 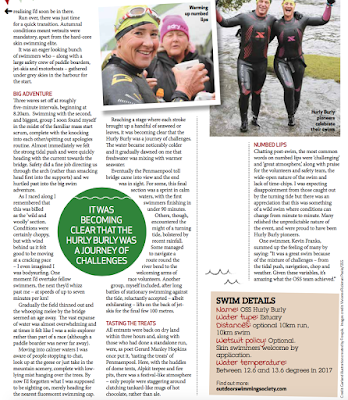 I tell their story in the April edition of Outdoor Swimmer. 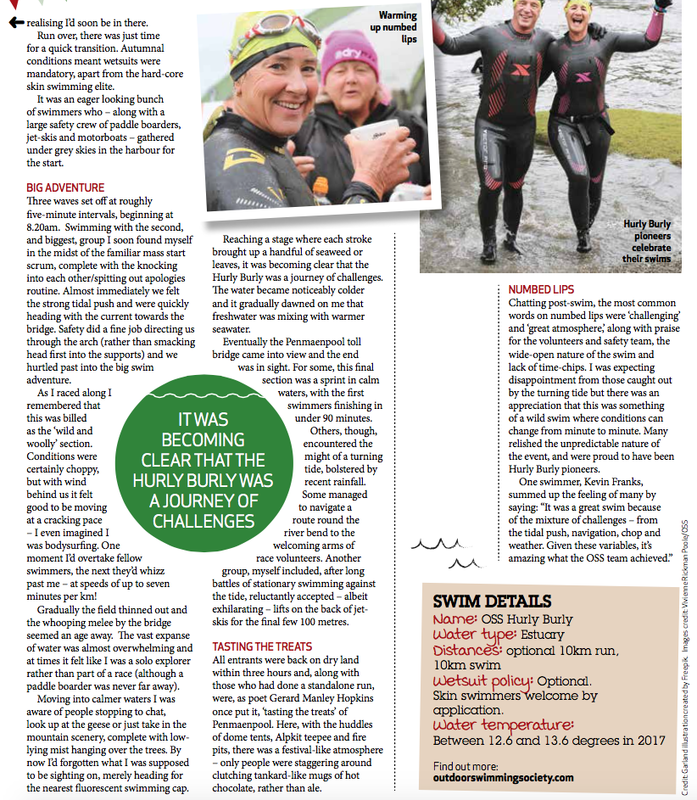 Apart from a couple of news reports in 1959, little has been written about these two outdoor swimming pioneers so it was good to bring their amazing feat to a wider audience. However, 'collecting the tarns' came after many years of bagging mountains. By 1951 they had climbed all the Munros (Scottish mountains over 3,000 feat), plus most of the English, Welsh and Irish peaks. Real outdoor heroes. 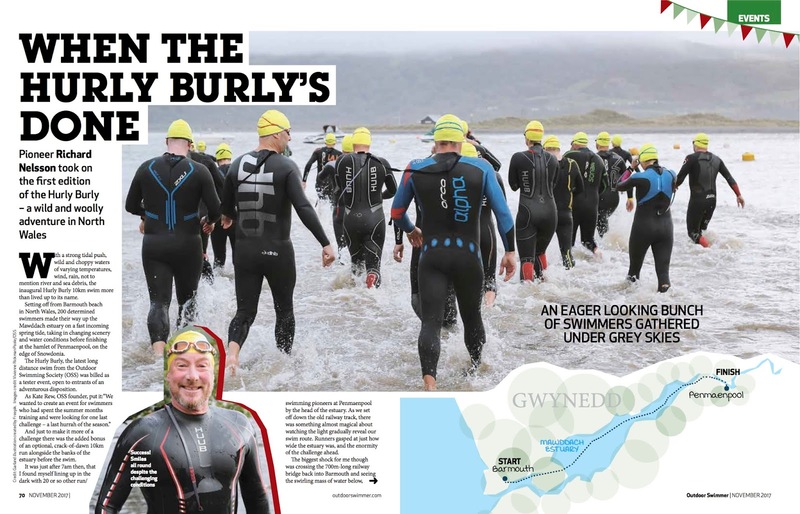 Read more in Outdoor Swimmer, Issue 13, April 2018. 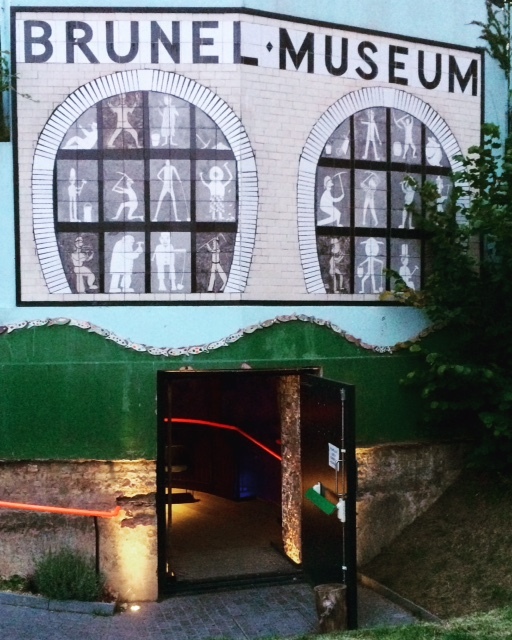 Doorway inviting adventurers to a night of film in the Rotherhithe shaft. London based Secret Adventures hosts all manner of 'off grid' events for urban dwellers in search of excitement. 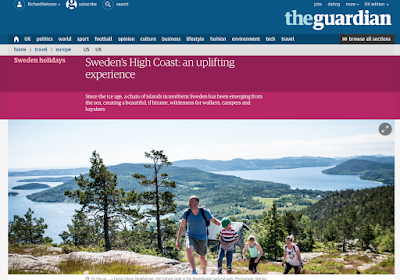 Set up on networking site Meetup in 2014, its adventures include everything from kayaking up the Thames at night, secret swims,​ to husky sledging in the Arctic Circle. But the activities also act as a way of connecting with like-minded people and - hopefully - generating ideas for future trips. This was certainly the case at Adventure Films Underground, a recent venture held at the Brunel museum in Rotherhithe, London. 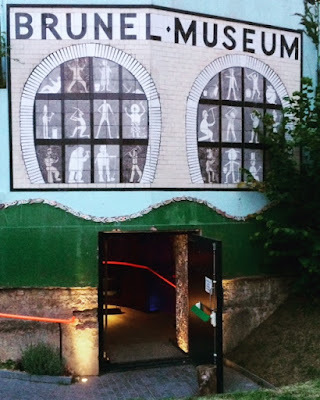 Here, ​in the soot scorched shaft that was the entrance hall to Brunel’s 19th-century tunnel under the Thames, three inspirational films were shown to an excited crowd of thrill-seekers. First up was The Swimming Granny, a short documentary about Maria á Heygum, an 85-year from the Faroe Islands who swims everyday in the sea. She found it helped cure her postnatal depression when she was a young woman and has been swimming in the sea ever since. ​Next on the bill was North of the Sun, a film about two Norwegian surfers who spent nine months on an isolated beach in the Arctic Circle - part of the time in permanent darkness. There was plenty of exciting surfing - and even snowboarding - footage but most inspiring was their ingenuity in constructing a cabin, complete with stove and chimney. Building materials consisted of driftwood and rubbish found on the beach. Before a short break, Madoc Threipland, founder of Secret Adventures, urged everyone to exchange exploration ideas with at least one other person. I ended up chatting to fellow audience members about new (possibly illegal) wild swims along with places to camp near major cities. There was also a chance to visit the excellent museum. The second half of the evening saw the screening of And Then We Swam, the tale of two friends who decided to row across the Indian Ocean - despite neither of them ever having actually rowed before. It was a classic 'enthusiastic amateur' escapade, although it certainly contained a few very dark moments. The key lesson though seemed to be learn how to be a strong open water swimmer. A very enjoyable evening that hopefully left everyone thinking abut future adventures. 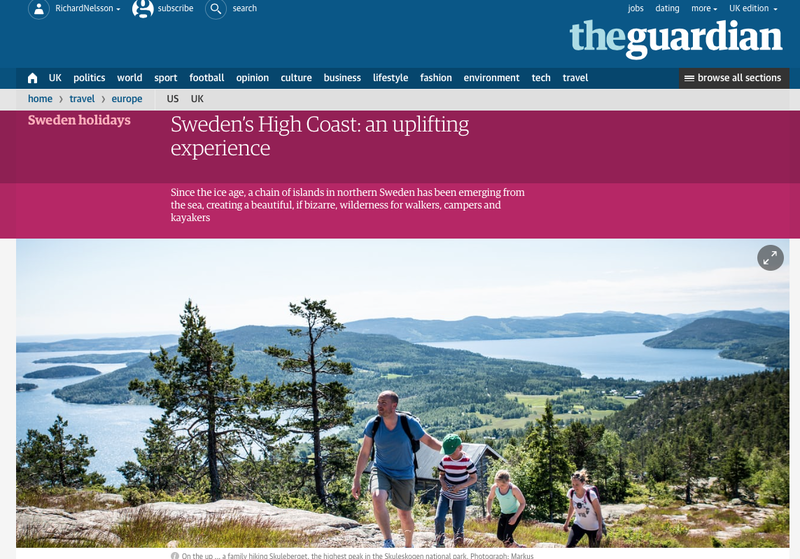 Sweden's High Coast is bizarre landscape that is quite literally on the rise. The area is real adventure wonderland offering everything from wild camping kayaking and a rather good via ferrata. Read about it here.